I love taste test days. Today we've got a fun one. 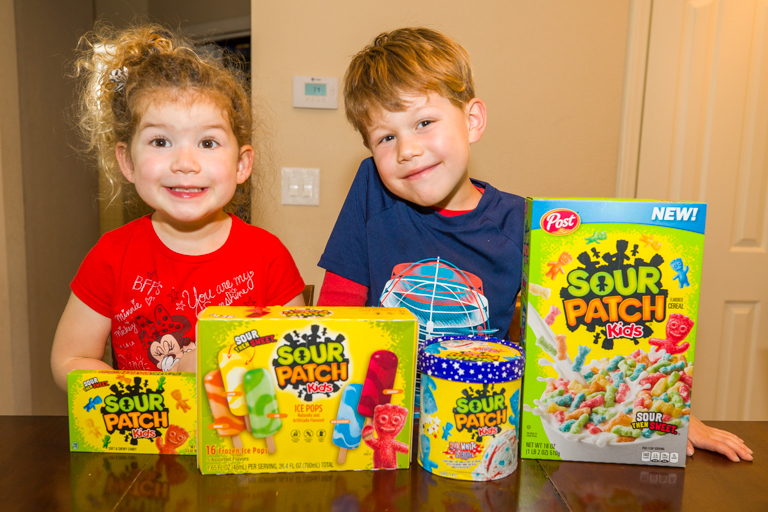 Sour Patch Kids in every version I could find! Cereal? Absolutely! 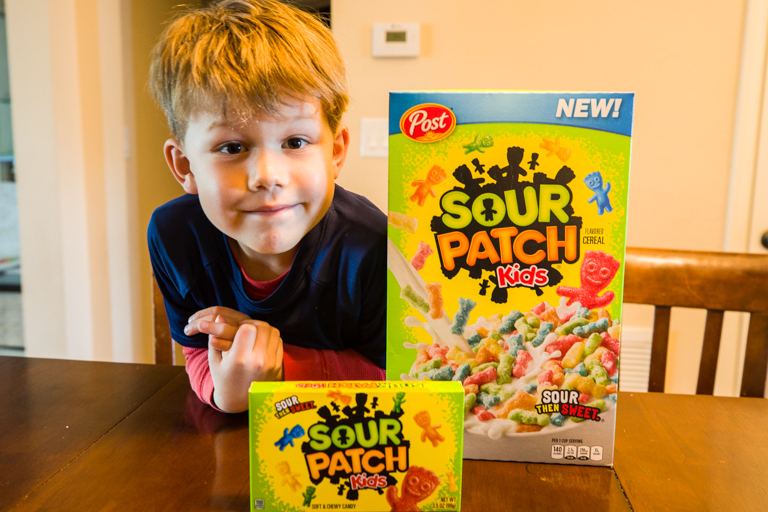 The brand new Sour Patch Kids cereal is what inspired this particular taste test. Ever since it was announced in December, I've been keeping my eye out for them with no luck. They just weren't any of the places we normally shopped. Finally, all the way in March, 3 months after they were announced, I found them! Funny, I don't see "part of this complete breakfast" anywhere on the box. I checked a whole bunch of other cereals you'd consider "bad for you". 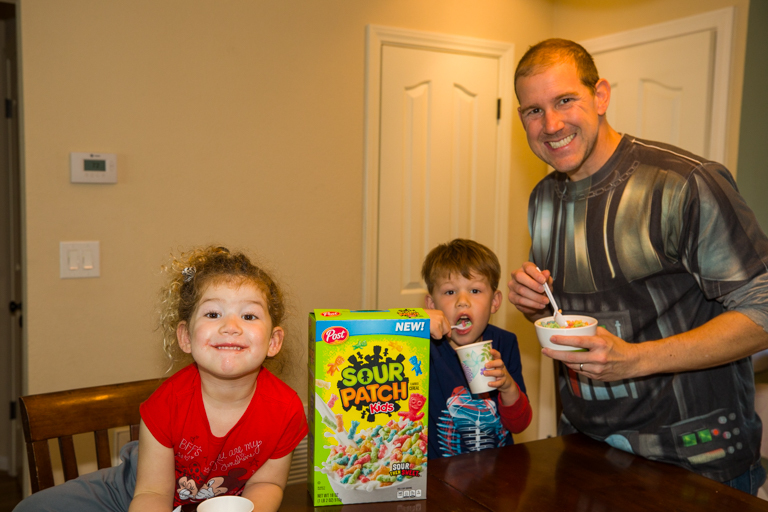 Cereals like Frosted Flakes, Lucky Charms, Trix, Fruity Pebbles, Cinnamon Toast Crunch, and even the amazingly delicious Reese's Puffs. Every single one I looked at had either corn, oats, or rice flour being the first ingredient. 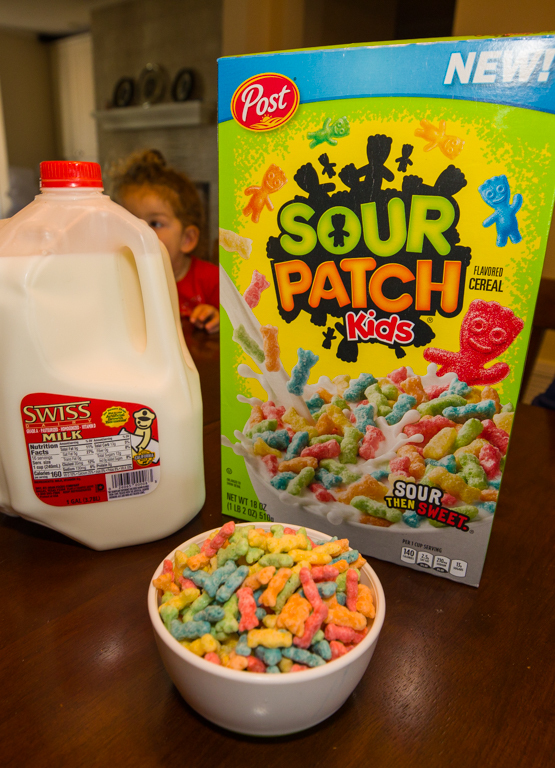 Sour Patch Kids cereal doesn't mess around. The very first ingredient is Sugar! 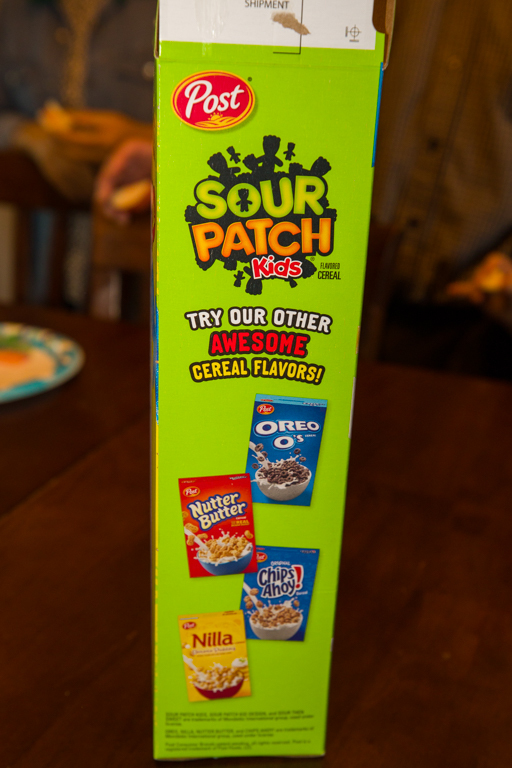 Other awesome cereal flavors? Oh believe me, I've already tried them. That Nutter Butter cereal was delicious. Open the box and the smell just hits you. It certainly smells like Sour Patch Kids. Sour and Sweet. They did a good job with the colors and shapes. 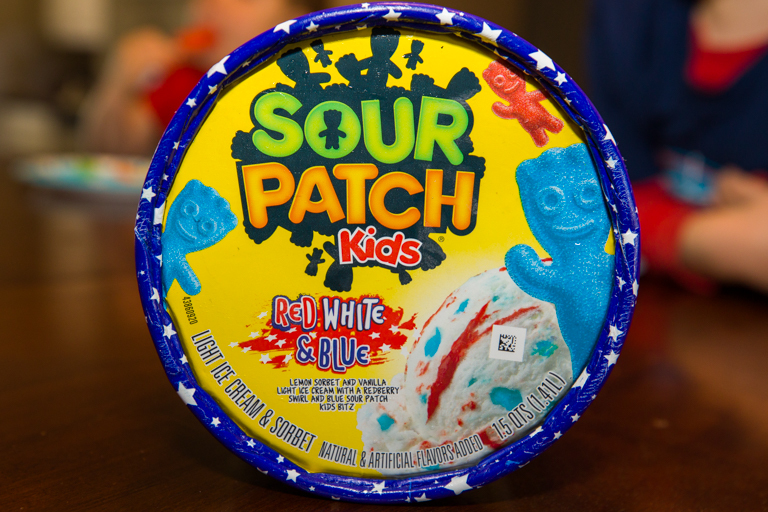 It really does resemble a bowl full of Sour Patch Kids. I tried them both ways. With milk and without. Without milk first. The sour flavor really comes through strongly. 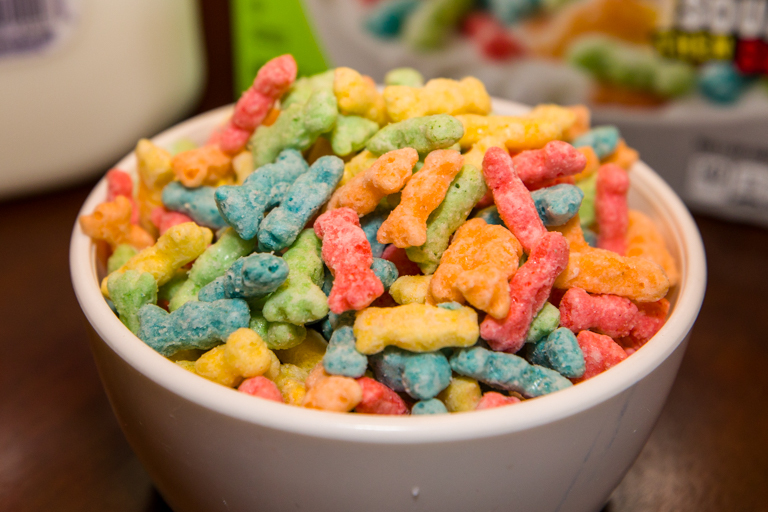 Once that's dissolved away, the base cereal reminded me very strongly of Trix cereal. 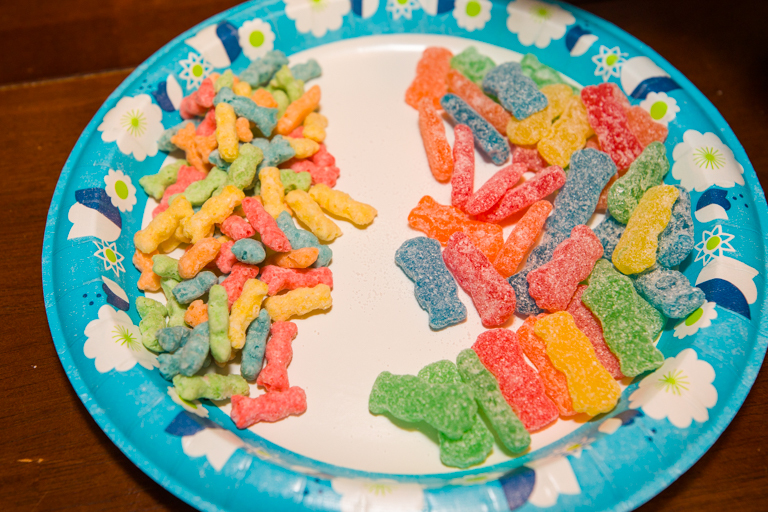 I definitely got the Sour then Sweet. That Sodium Citrate coating is tangy. Next we tried it with milk. 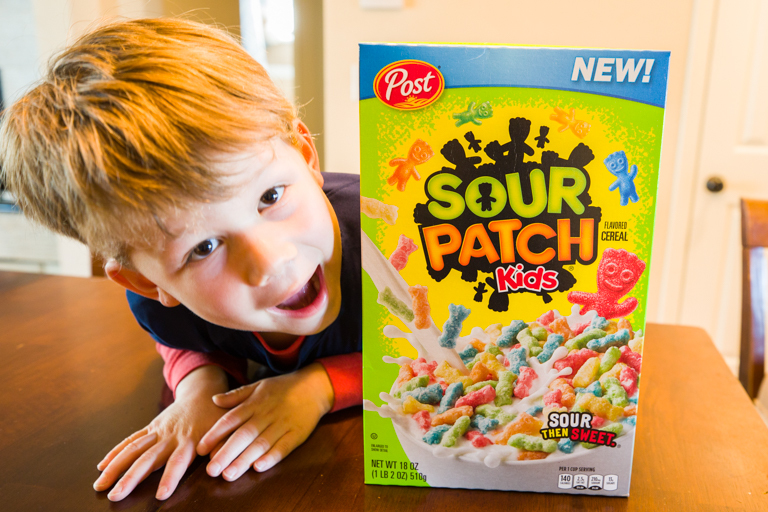 With a little bit of whole milk to go with them, the PUNCH of the sour is lost. You still get a little bit, but I really thought they were better dry. Having all that sugar, I'd have thought these would be a hit with the kids. Neither liked them. Too much tang I suppose. Now to compare against the real thing. Cereal on the left. Candy on the right. I applaud the colors. Happy to see all 5 represented. A comparison of the size and shape of the cereal. I thought they did a great job nailing the shape. 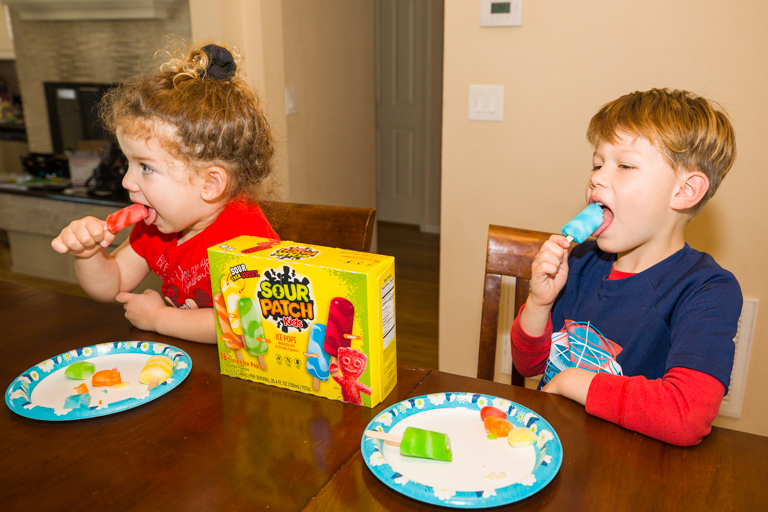 Of course the kids loved the regular Sour Patch Kids candy. And the taste test would have ended there, but Ian with his eagle eyes happened to spot these in the frozen aisle. Ian - "Daddy! 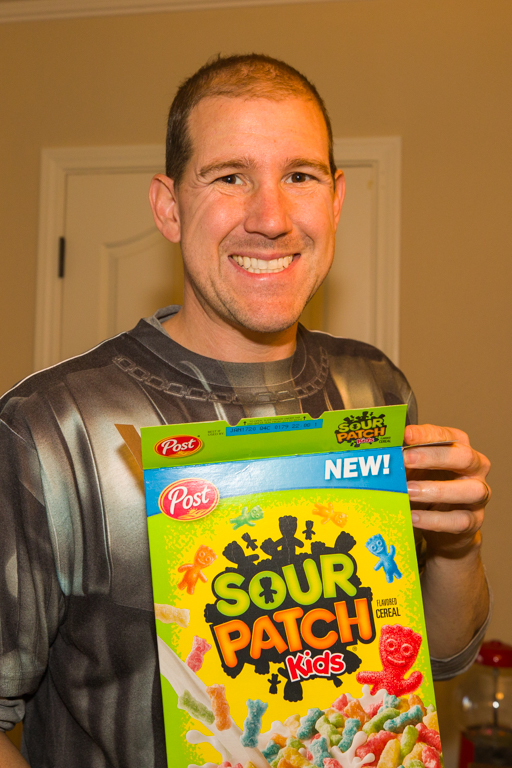 More Sour Patch Kids!" 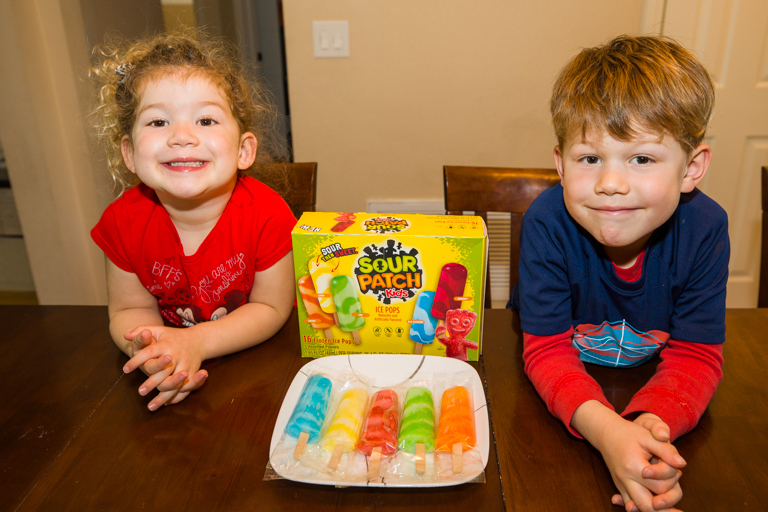 It's Sour Patch Kids Ice Pops! Blue Raspberry, Lemon, Redberry, Lime, and Orange. 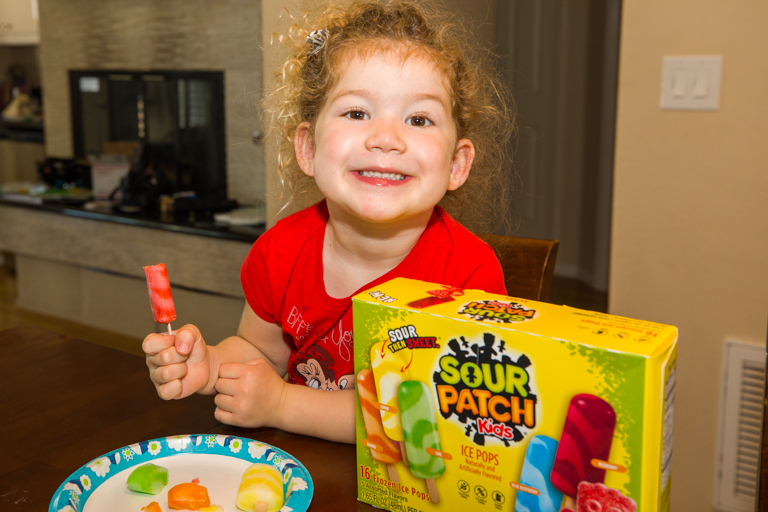 It wouldn't be a true taste test unless we opened all 5 flavors to try them. And I'd say not too bad of a job getting them to match the photo on the box. 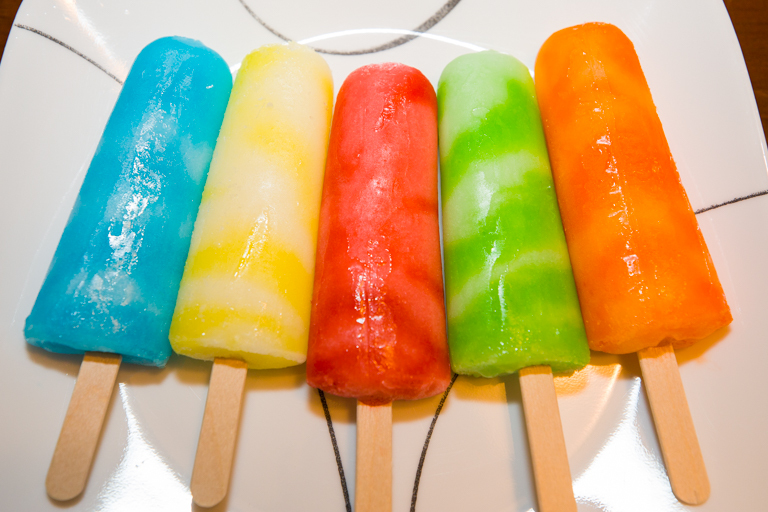 These were ice pops, but not the typical ice pops you're used to. 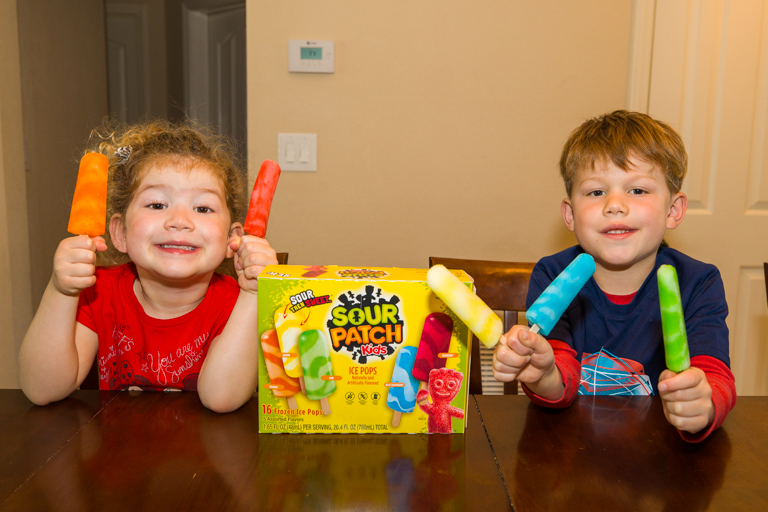 The Sour Patch Kids Ice Pops are much more tart than usual. My mouth was even stinging a little when I tasted the lemon. After tasting all the flavors, there wasn't a single one I didn't like. No surprise that Ian liked the Blue Raspberry. And Alli loved the Redberry. 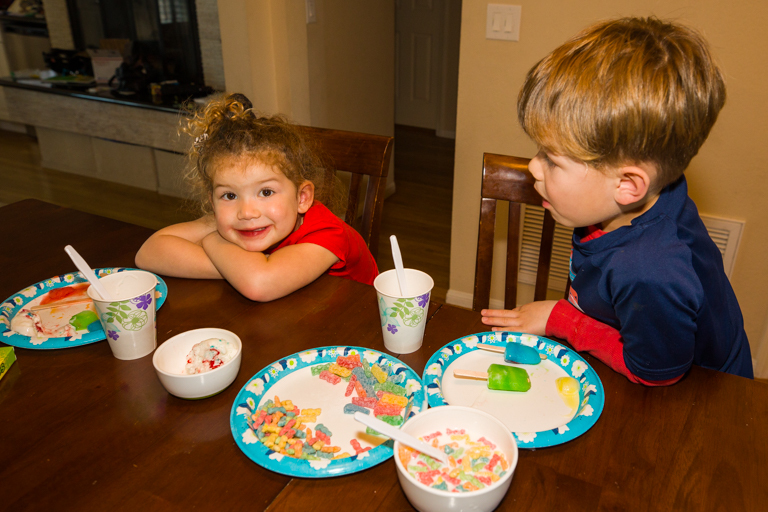 We've had the cereal, the candy, and the ice pops, but we're not through yet! 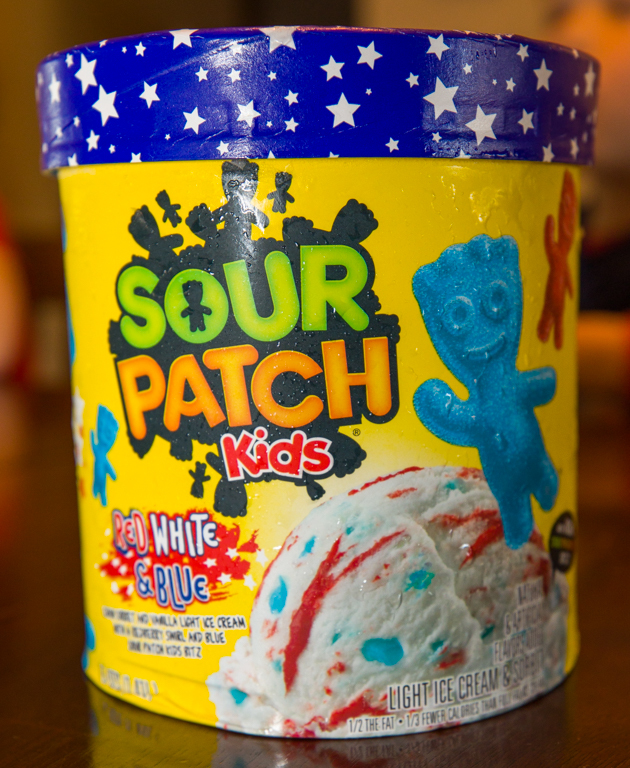 Also in the frozen confections aisle in the ice cream section, once again that bright yellow Sour Patch color caught our eye. 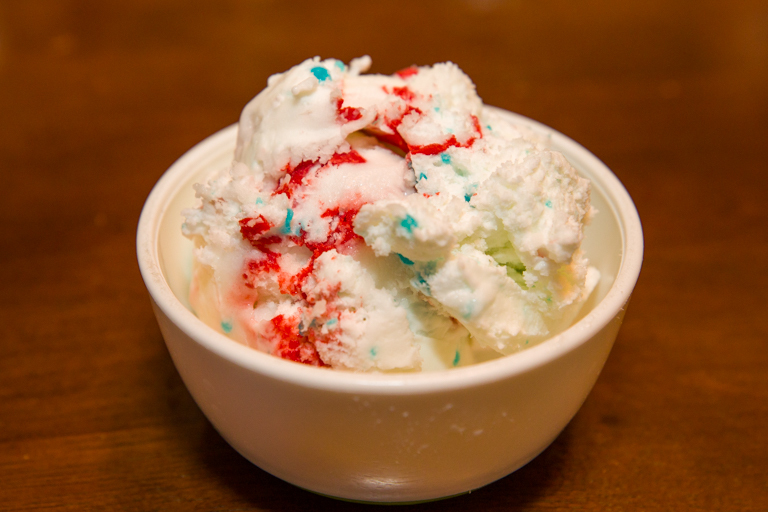 In order to get that sour flavor, the base is a Lemon Sorbet mixed with Vanilla Ice Cream. 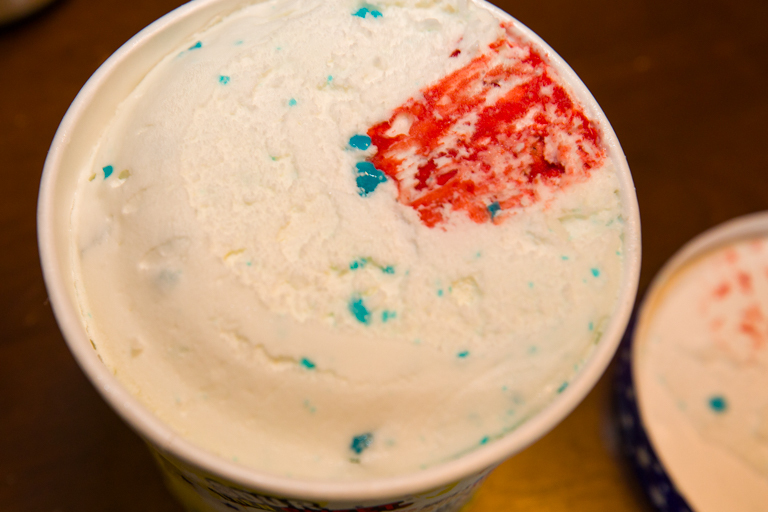 Add to that blue Sour Patch Kids pieces and a Redberry Swirl. Not the best distribution of red swirl. I thought it was delicious. 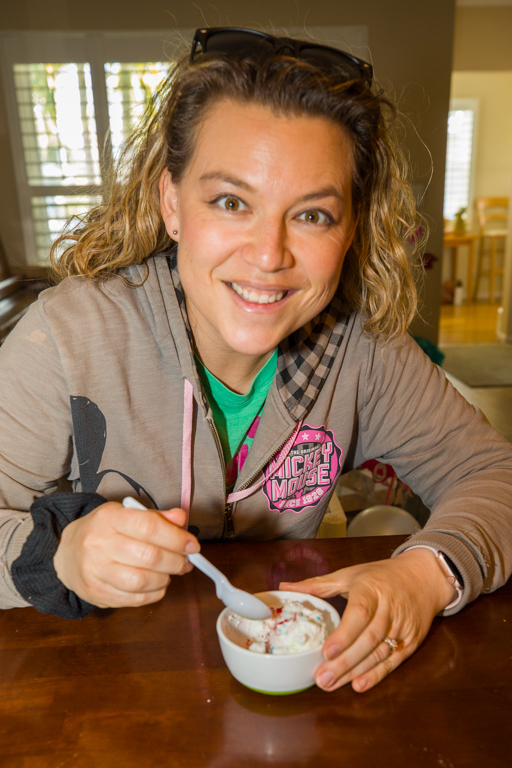 The ice cream and sorbet mix was fantastic. Mixing lemon and vanilla to make a creamy lemon was fantastic by itself. 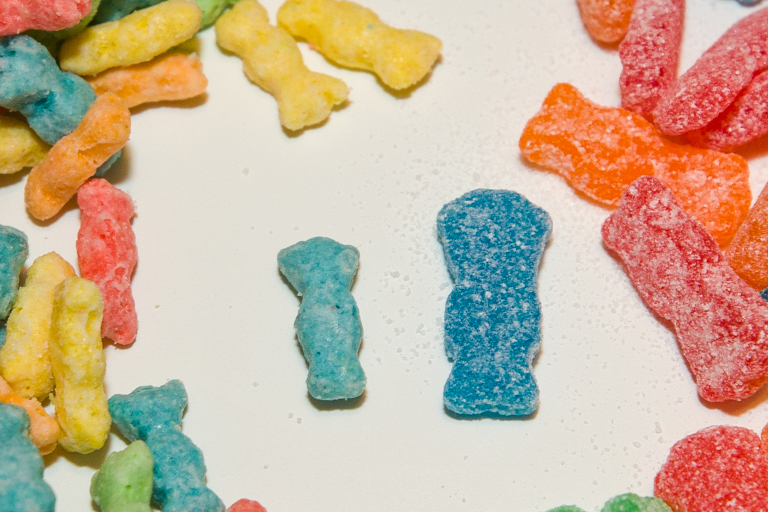 The little bits of blue Sour Patch Kids added a bit of raspberry flavor and chewiness. 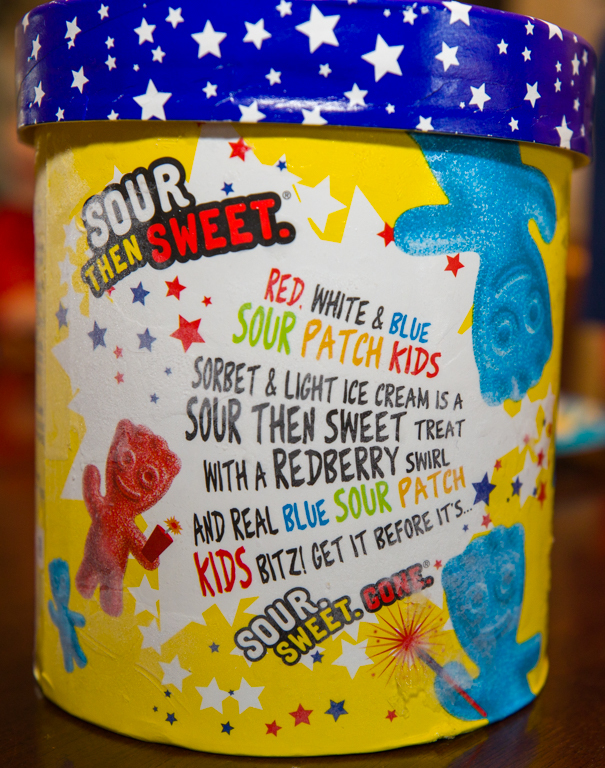 The Redberry Swirl is where all of that Citric Acid kick came from. Get a spoonful of that and you'll know it. The kids... were not fans. Hmm. T and I liked it though. Whew! Another great taste test. 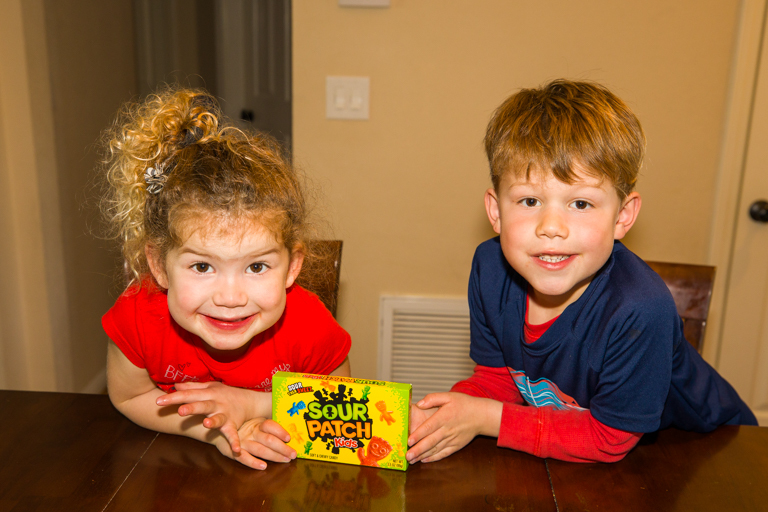 We love Sour Patch Kids! I was really surprised by the cereal. I wasn't expecting to like it as much as I did. I took it in to work (dry) and people enjoyed it there quite a bit too. 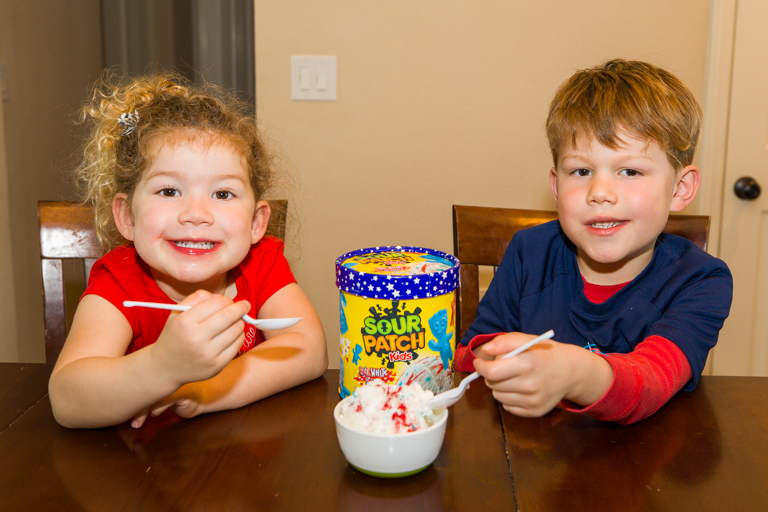 Now I have to decide if I'm going to pick up more of that Sour Patch ice cream before it disappears.